Nepal offers myriads of romantic destinations which are cited best for the Honeymoon Trips for married couples. The hotspot destinations of Nepal are going to provide you with lifetime experience. If you are planning for awesome cost effective travel deal for Honeymoon Package in Nepal, remember Traveling to Nepal. 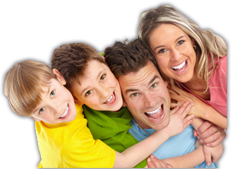 We offer excellent packages for your exciting and unforgettable honeymoon trips experience. Nepal offers perfect places for honeymoon and wedding. The best destinations of Pokhara, Chitwan and Kathmandu are going to be great experiences during your Nepal trips. The magical visit to Nepal during your Honeymoon trip will combine your memorable moments with the panoramic highlights of the country. No matter what your preferences are, we provide you the best honeymoon packages that perfectly suit you and your new spouse!! Today, you will have full-day sightseeing tour of Kathmandu and Patan both being culturally rich ancient cities of Nepal. Kathmandu valley itself offers many World Heritage Cultural Sites. You will be visiting wonderful sites including Pashupatinath temple (the holiest temple of Lord Shiva), Swayambhunath (the Monkey Temple), Bauddhanath (one of the oldest and largest Buddhist temple), beautiful Kathmandu Durbar Square with Kumari (the Living Goddess) Temple and others. We then drive to Patan to explore the beautiful ancient art and artifacts of Patan city including Patan Durbar Square. After the Patan exploration, we return back to Kathmandu. You stay overnight at hotel in Kathmandu. Well, today, we will drive to Bhaktapur. On reaching Bhaktapur, we spend time sightseeing the ancient Bhaktapur Durbar Square. Actually, Bhaktapur Durbar Square has a lot to offer you. You can visit various temples and palace; the main among them are 55-window palace and Bhairav temple. In the evening, we then transfer you to Nagarkot, where you stay overnight at hotel. You will get up early in the morning to view the wonderful sunrise from Nagarkot and beautiful view of Kathmandu Valley and stunning mountains around from Nagarkot Tower. After that, we drive back to Kathmandu. On the way, we hike to Changunarayan Temple, which is one of the best example of ancient art of Nepal. Changunarayan is one of the World Heritage Cultural Sites in Nepal. We then transfer you to the hotel in Kathmandu. If you love Jungle Safari, then today is going to be very important day for you. After having morning breakfast at Kathmandu, we transfer to Chitwan today. Upon reaching at Chitwan, we check in to the Resort, and have lunch and dinner at the resort at Chitwan National Park. Today is the actual jungle safari day. We take the breakfast at Resort and then go for Jungle activities. We join full day jungle activities including Elephant ride, Jeep Safari, Nature Walk, Bird watching, Canoeing and so on. After having jungle activities for about 4 hours, we return back to the resort. After having breakfast at resort in Chitwan National Park, we today drive to Pokhara. We will have lunch somewhere on the way. And on arriving Pokhara, we check-in to the hotel. 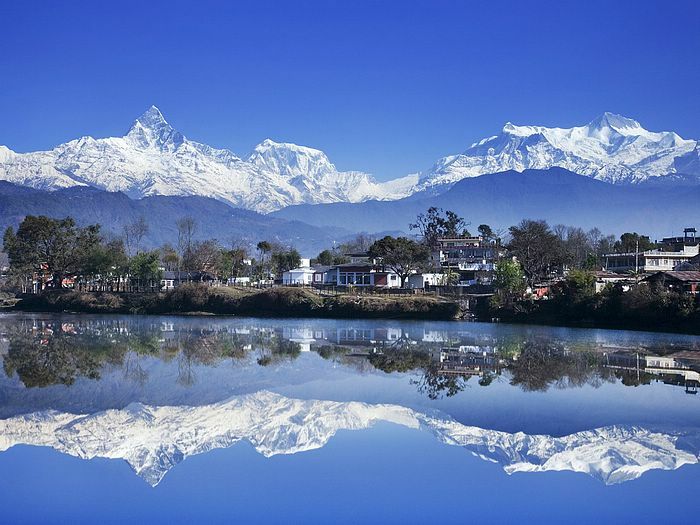 Pokhara is going to be the most exotic and romantic destination for you. You today visit the whole Pokhara city and interesting areas around. We visit Seti Gorge, Davis Fall and Mahendra Cave among other and then return back to hotel. After having our lunch, we go to Pokhara lakeside and enjoy an hour of boating at the fantastic Fewa Lake with the Fishtail Mountain on the background. You can walk around the touristy area of lakeside. You have your dinner at the hotel and stay overnight. After having such a great tour of Pokhara city, we today drive back to Kathmandu. We have our lunch at hotel and after lunch you can take your free time for exploring Kathmandu or have last minute shopping.